Iraq - Zakho, Yazidi refugees from Shingal / Sinjar Mountains, at the Syrian-Iraqi border, live in Zakho, everywhere where the eye drops. In unfinished incomplete houses, in camps, on streets. They have little to eat, no winter clothing, no medication. Yezidi women bake traditional bread. 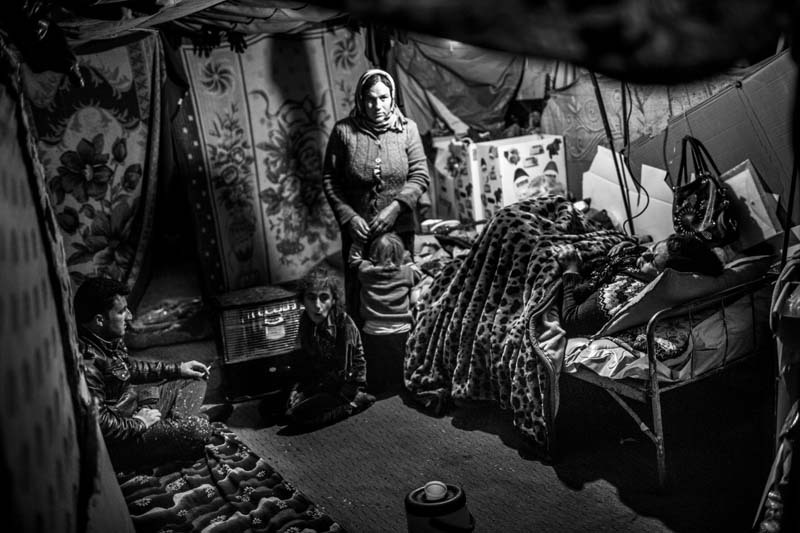 Refugees wait for the uncertain.A Yezidi family built a tent out plan, in a house skeleton. Some family members are sick, but there is no doctor where they may go.